There is a beautiful nature strip on the south-west side of Walcheren. Here, the surf of the Westerschelde bustles to the left, and the leaves of the trees move quietly in the sea wind to the right. Here you can hear both nightingales sing, and seagulls shriek. A landscape which combines sea, beach, dunes and forests. The channel for large sea ships lies just off the coast here, a unique sight. 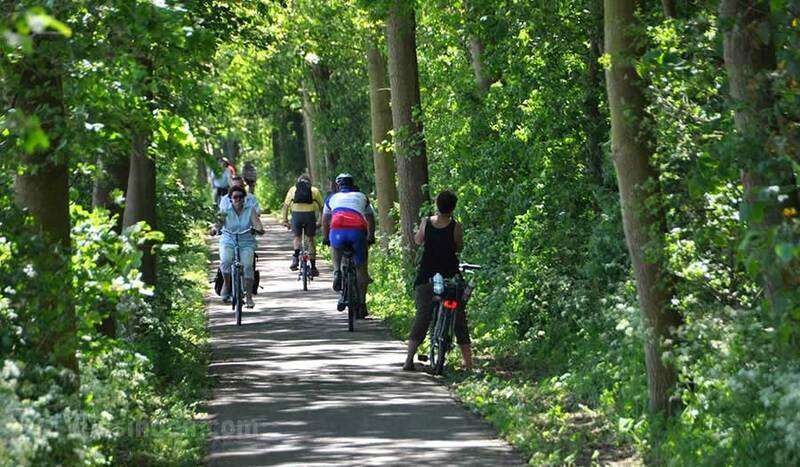 This 7 km long nature reserve starts at the 'Nollebos', on the west side of the Vlissingen boulevard. Then it transitions from the 'Westduin' forest to the Vebena forest near Dishoek. From there are the 'Kaapduinen', via the 'Valkenisse' forest the nature reserve ends with the 'Zouteland' dunes. The 'Nollebos' is approximately a 26 acre nature and recreation area. Created from creek remains after the dikes breached in 1944. Those dike breaches were the result of bombardments by the allied forces during the liberation of Walcheren. With the later planted forest, it is now a recreational area. Spontaneously, as well as through modified management, it has become a very diverse nature reserve over the years, together with the 'Westduin' forest. As a result of the saline soil, plants and flowers grow here that you would not expect. The dunes near 'Nolle' and 'Westduin' are approximately forty to eighty feet wider. Hiking, biking, fishing, tennis, canoeing, horseback riding: it's all possible. From Flushing, over the playful winding roads through the dunes to Dishoek. Enjoy the salty sea air, the bustling surf and breathtaking coastline. The area of Dishoek is great to take beautiful walks. 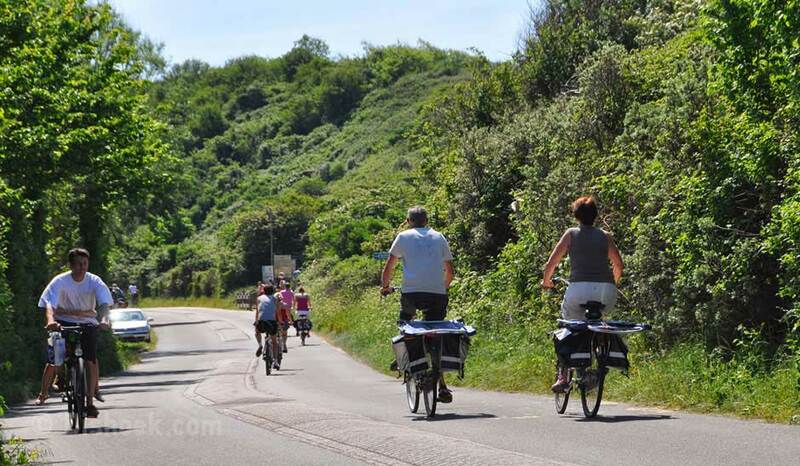 The alternation of forest, dunes, beach and polders ensure that these trips will be one of your most memorable ones. Between the sea and the village are high dunes. 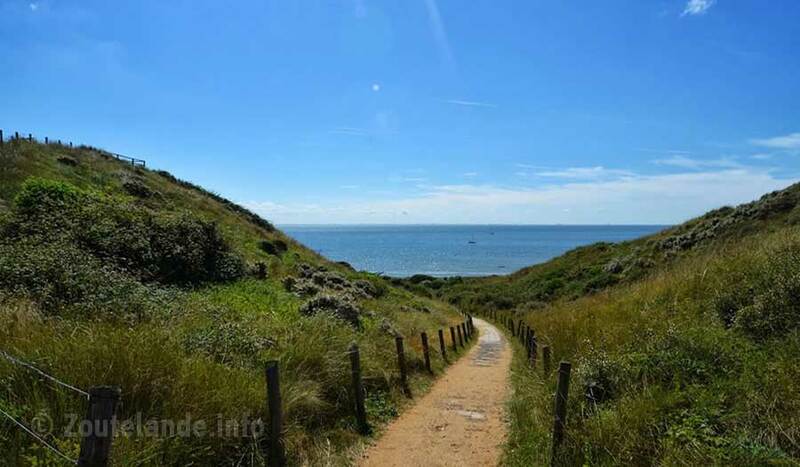 Over the tops of these dunes you can walk a narrow path along the coast of Walcheren. From Dishoek it is about a 2 km walk to the seaside resort of Zoutelande, and 5 km to Flushing. Here and there are benches where you can enjoy a nice view of the sea, the beach and the surroundings of this beautiful coastal town. 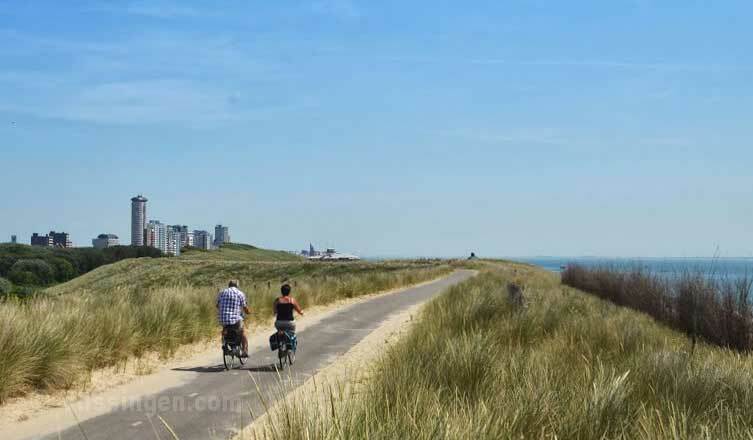 During clear weather you can see the skyline of Flushing from the paths of these dunes, and the rooftops of the seaside resort of Zoutelande. The dunes of Zoutelande, with a highest peak of 54 meters, are the highest in the Netherlands. The dunes are protected by rows of poles which stand perpendicularly in the sea. These have to break the strong force of the waves. The beach is sheltered from the wind by the high dunes. Therefore the beach-goer may find himself in some sort of micro-climate. Partly because of this, the beaches are also referred to as the ‘Riviera of Zealand' . From the sea, the helmet vegetation in the dunes gradually transition to various kinds of bushes such as dog rose and blackberry. Furthermore you see hawthorn everywhere, the most distinctive bush in Walcheren. Subsequently the vegetation turns into a narrow strip of natural woodland. Behind the dunes are hiking trails. From the top of the dunes, the entire natural coastal strip can be seen beautifully.